We're fortunate enough here in Tallahassee to have a community which thrives to offer guidance and spread knowledge, one of which way being workshops. 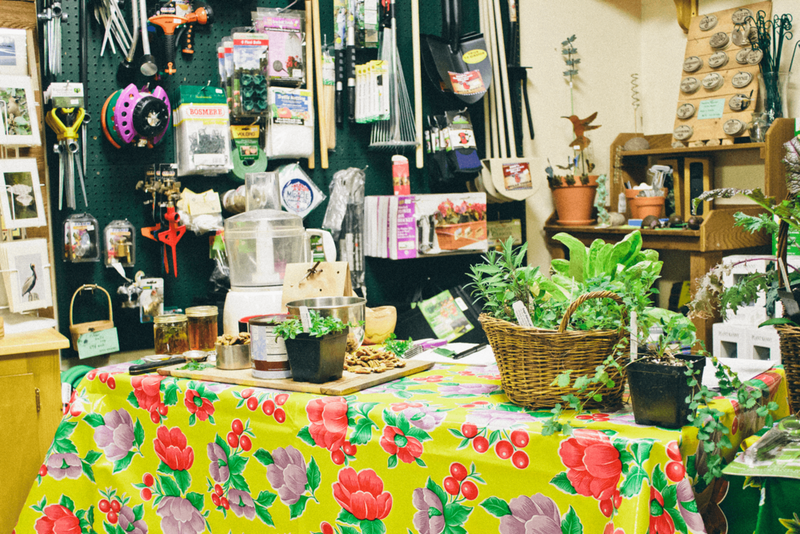 Some of our favorite local frands, like over at Native Nurseries and Ten-Speed Greens, are working hard to bring lovely workshops at affordable prices on all their many know-how's and how-to's. Greatly inspired by the wonderful things happening by Asheville's Villagers, we're excited to attend more and even host future workshops in our community. Even though the weather in this town has a fierce case of "hot and cold" a la Katy Perry style, we definitely get our fair share of seriously cold days. Which naturally would effect one's plants, gardens, other goods grown from the ground. And while the chilly temperatures may be more persuasive to stay indoors, there are plenty of well-fit herbs and greens which still enjoy to be outside. 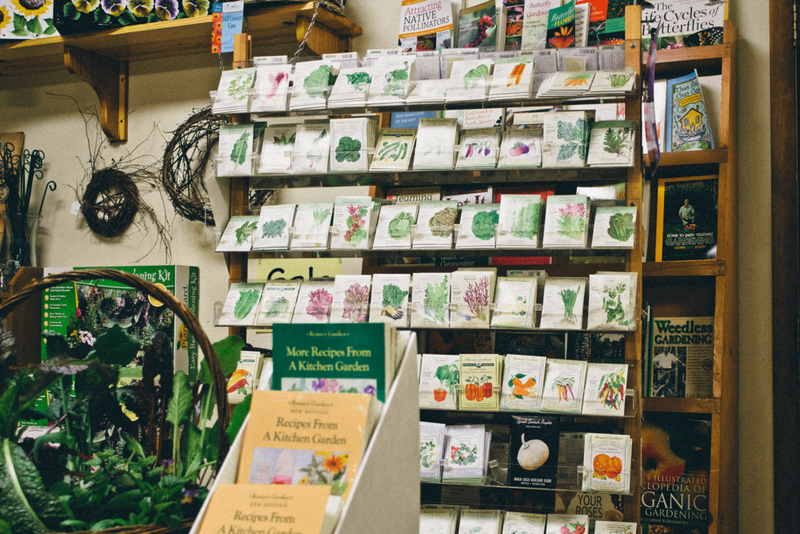 The winter herb workshop I attended at Native Nurseries led us through which herbs are right to plant right now, and the best methods for planting them. 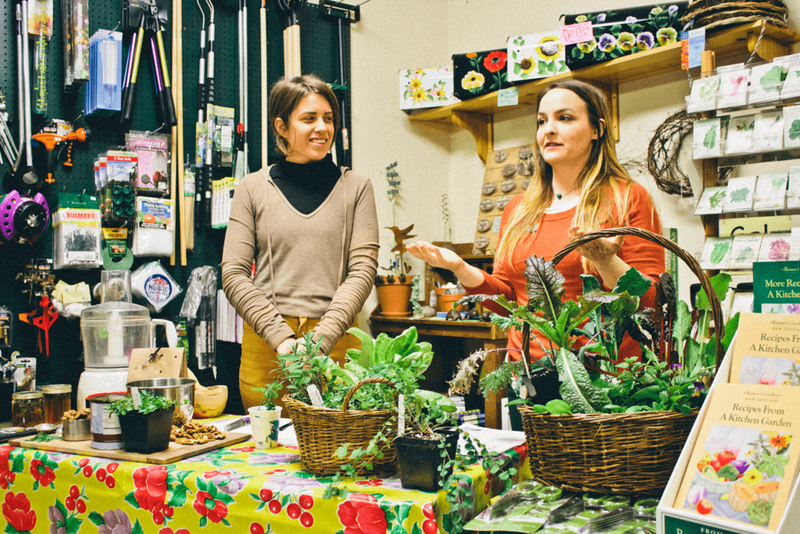 Our class was led by two Native Nurseries plant mamas and go-to experts: Bloom babe Elizabeth Georges, who is an experienced horticulturalist and heads the herbs section at the nursery; Lilly Anderson-Messec, manager at the nursery and a certified horticultural professional. Needless to say, we were in good hands! 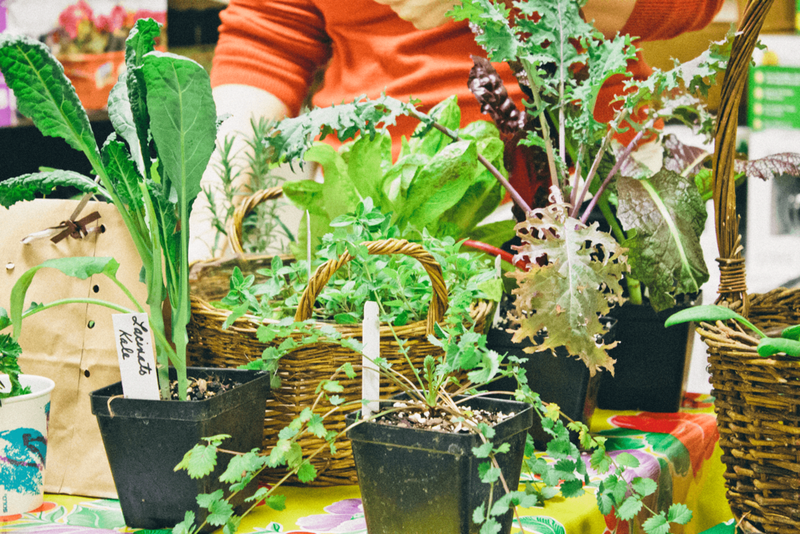 Our teachers took us through the proper greens to plant that'll survive the cold, and culinary favorites for the season. 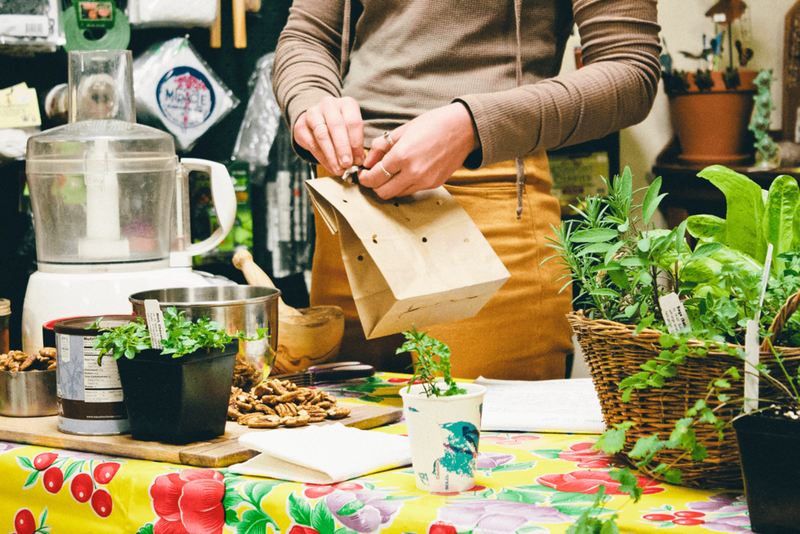 Last the workshop reviewed proper ways to store your herbs and delicious recipes to use them in. *Highlight* of the class, our hosts shared with us amazingly delish samples of some of their favorite ingredients with said winter herbs. Here's a quick recap of all the great tips, advice, recipes, and notes that they shared with us during the workshop. The mega inspiration these ladies exuded may be a little harder to portray via text or photos, but hopefully you may make it to a local gardening workshop yourself and see what all the hypes about! We recommend using organic fertilizers such as Plant-tone. Organic fertilizers build the soil while fertilizing the plants. A good blend for potted herbs is 2 Tbs. fish emulsion and 1 Tbs. maxicrop mixed with 1 gallon of water. Place bread slices on an ungreased baking sheet. Broil for 3 to 4 inches from the heat for one to two minutes or until golden brown. 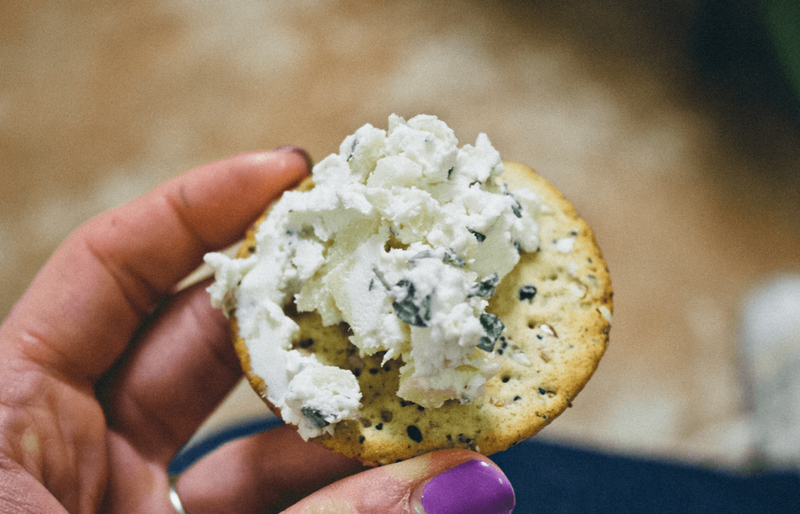 Combine the apple, goat cheese, thyme oregano, and pepper, and sprinkle atop bread. Broil one minutes longer or until cheese is softened. Yields 16 apptz. Saute the onions in 1/4 stick of margarine (or coconut oil) in a large pot, add the sliced sorrel and toss until wilted. Add the potatoes, stock and thyme. Bring to a boil, reduce heat and simmer for 20 minutes. Add the majoram and parsley and salt and pepper if desired. Puree in batches in a blender. Returned to a simmer. Serve with freshly grated nutmeg or grated cheese. Adds a peppery, radish-like flavor to foods. Growing tips: likes moisture and to be cut regularly to prevent bolting. It blooms in late spring attracting a host of pollinating insects and hummers. Goes well with acidic tastes like lemon. Flavor intensifies as it dries, good for anchoring flavors in stews and soups. Evergreen, cold hardy to 15 degrees. Can grow to a large tree or stay a small shrub. Mild sweet licorice flavor, similar in appearance and use to parsley. Classic ingredient in the french seasoning staple Fine Herbs. The seed is commonly known as coriander - which offers a completely different taste when dried. Use the leaves, flower, and seeds in egg dishes dips, potatoes, and more. Larval food for the black swallowtail butterfly. Not a bulbing fennel, but its foliage can be used just like green fennel. Easier to grow than sweet green fennel. Also a larval food. Easy to grow, flat leaves, white blooms, often stay ups all winter. Many mints available, it's best as a potted plant as it easily spreads. Afternoon shade is best and can take a damp planting site. Beautiful mounding form, easily spreads though. Goes well with just about erythang! Flat-leaf (Italian) has a stinger flavor, curly makes a pretty border or basket. Best used fresh to optimal flavor. High in vitamin C & A. Also a larval food for black swallowtail butterflies. Good drainage is a must. Kept upright, this herb is indispensable in the kitchen. Less of a cold hardy herb though. Also antibacterial. Treat this as an annuals. Flavors well with tofu, beans, and many vegetables. Has a tangy, lemony flavor; great in soups, seafood, and as a greens substitute in sandwiches and salads. High in Vitamin C and a favorite in French culinary. Good drainage is a must, offers intense flavor, and a little can go a long way. Creeping thyme makes a mound good for covering the ground. Lemon thyme has a strong lemon flavor. Place the beans, garlic, lemon juice, 1/3 cup oilve oil and fresh herbs in the work bowl of a food processor. Pulse until the mixture is coarsely chopped. Season with salt and pepper, to taste. Using a food processors, process the pecans on low until they're nicely ground. Add the cocoa powder and mint leaves, and pulse till mixed well. Add dates and pulse again on low. The texture should be so that you can form a malleable, sticky bally. 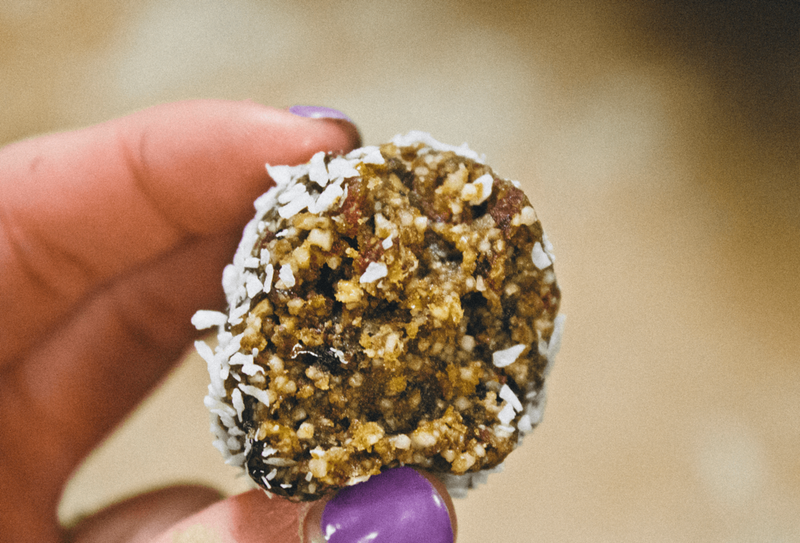 Form mix into balls and then roll in dried coconut shreds or more cocoa. Top with raw nuts or berries before serving (optional).